There’s a new player in town, giving the satellite television service a run for its money. Although MultiChoice owns shares in ShowMax, an online streaming service, many people are flocking to Netflix for their series binge watching spree. Online streaming services have become a game changer in the entertainment world. And this is only focusing on the legal services. Pirate sites are an alluring alternative for people wanting to see the latest episodes of their favourite series but trying to find a way around paying for it. Stats show that MultiChoice has lost over 100 000 premium subscribers in the financial year from 2017 to 2018. The pay-TV operator must now reassess its business model to stay relevant despite the fierce entertainment competition. If DStv fails to rejuvenate its services, it is threatened by digital disruption. 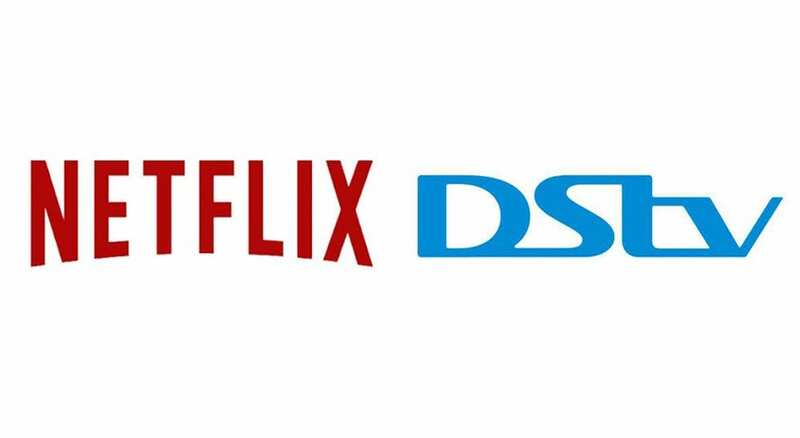 According to Calvo Mawela, the CEO of MultiChoice SA, an issue arises with unregulated competition because Netflix has an unfair advantage as a video-streaming company. Currently the company is not subject to any regulatory pressure in South Africa. DStv is very aware of the fact that their viewers have changed their average viewing habits. More and more South Africans are catching on to the convenience of online content. Although the satellite broadcasting service still has a big loyal following, the company wants to aim at capturing a bigger online audience. Besides offering subscribers access to ShowMax, MultiChoice has created a new online streaming service platform. With DStv Now you can access the satellite television’s content online. Plans are in the pipeline to launch a special 4K-streaming option for DStv Now, offering subscribers a higher resolution, high definition (HD) format. Other changes include possibly offering a new package that will be streaming-only. This way MultiChoice can directly compete on Netflix’s turf. There are also a few other online content services to contend with. Some onlookers speculate that the substantial subscriber loss is due to the financial challenges that consumers are facing. But MultiChoice still strongly suspects that it is losing many premium subscribers because of unregulated competition, with Netflix at the top of the online content services competitors. MultiChoice believes that it is the responsibility of the Independent Communications Authority of SA (Icasa) to investigate a way of creating a level playing field so that the pay-TV operators can compete fairly with the over-the-top players. If Icasa does not comply with this request, DStv and other pay-TV operators might very soon be out of business. In May 2018, the regulator conducted an inquiry with an oral hearing, listening to the complaints from the subscription television broadcasting services. It is considering opening the market to other players. The plan is to introduce shared sports rights, as well as shorter contract options for premium content. MultiChoice feels that Icasa misunderstood the request and the inquiry is not focusing on the issue that was brought to them. DStv feels that competition in the industry can have a positive effect on services, they are not against it. The pay-TV operator wants to make its subscribers aware of the value offering they present, appreciating the services offered. They feel that the consumer will benefit from healthy competition. But now Icasa has shifted its focus to regulate DStv more. MultiChoice still claims that over-the-top players like Netflix should be subjected to the same set of regulations as MultiChoice. Mawela feels that this will be in the best interest of the country. In an interview he pointed out that the country has national objectives to focus on. For instance, currently Netflix does not fall under the same tax compliance laws as MultiChoice. The online streaming company also does not comply with the black economic empowerment regulations. Mawela went on to explain that he feels companies such as Netflix should be placed on the same playing field as local service providers. Netflix does not offer employment to anyone in South Africa, they don’t fall under the country’s tax laws, and they also do not offer any local content. MultiChoice’s main reason for requesting regulations from Icasa was to ensure that the pay-TV operators and the online streaming companies can stand on equal footing when competing for subscribers. Interview: MultiChoice CEO Calvo Mawela on SABC News. Netflix responded positively to the regulation request from MultiChoice. They intend to adhere to the local laws and tax structures of the countries that access their service. Netflix welcomed collaboration with regulators. Paseka Maleka, Icasa spokesman, confirmed that the regulator is in the process of analysing the pay-TV market inquiry submissions. They aim to publish a conclusion on the matter by March 2019. According to William Bird, Media Monitoring Africa director, Netflix should be regulated. But he also thinks the pay-TV market monopoly should be regulated as well.